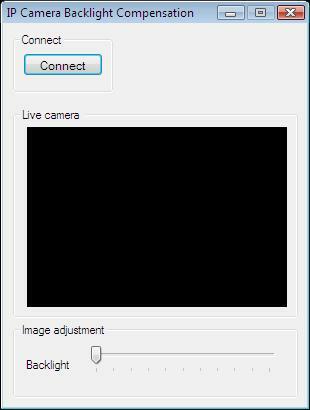 This example demonstrates a really simple manner on how to set the backlight compensation of your IP camera device. To implement this example, you need to have OZEKI Camera SDK installed, and a reference to OzekiSDK.dll should be added to your Visual Studio project. How to set backlight compensation using C#? The additional methods of this example work quite the same way we have presented the trackbar processes in the 10th example. I cannot set the backlight. The scrollbars move but nothing happens. Why? Some cameras do not support the adjustment of the backlight. Why does the backlight change, when I did not order it?